Of course we have the hand crank, jack bag, tool roll, owner’s manual, etc. to complete the setup. The car is painted “Storm Grey Metallic” and has black piping (which, of course, are not original colors). 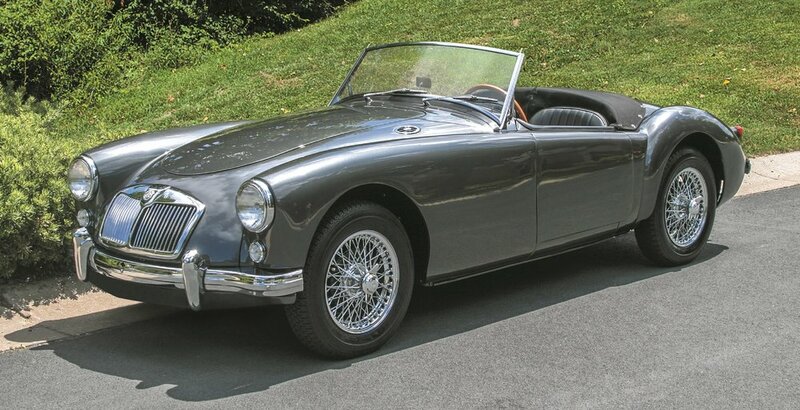 However, according to a number of MGA references, MGA customers could order special colors or a car in primer from their dealer or the factory if they were willing to pay the going rate for that service in 1958. In face, the 100,000th MGA was painted in a gold metallic, so perhaps the color isn’t as non-standard as some MG enthusiasts believe it is. 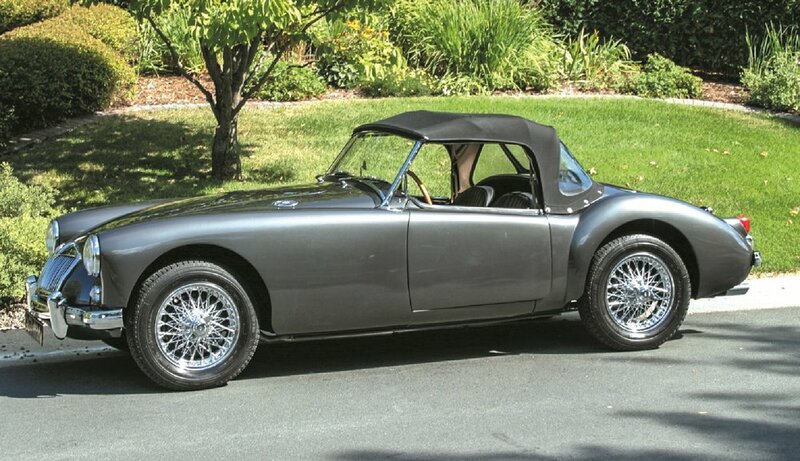 At any rate, we think the color sets the car off particularly well, with an excellent balance of black, Storm Grey and chrome, which makes this particular MGA very memorable and a great example of the beautiful lines of the MGA. -Third place 1958-1964 Classics, at the Winnebago Moto Fest, Winnebago MN, 8/11/2001 (only foreign car to place at that show). 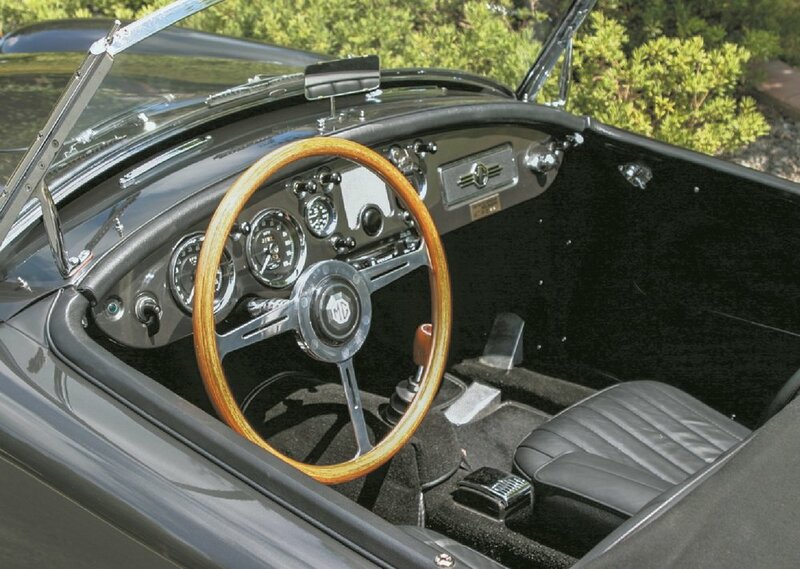 As of today, the car has less than 60 miles on it since the major restoration was completed. Generally, we trailer the car to shows, since there are often 3 family members in attendance, and that’s a tough fit in an MGA. We really like the shows and, in particular, the conversations we have with so many other MG enthusiasts. As someone once told me, it’s the cars that bring us together, but the people that keep us coming back.